It can carry about 550 passengers over 8,000 nautical miles and has a maximum takeoff weight of 575 tonnes. 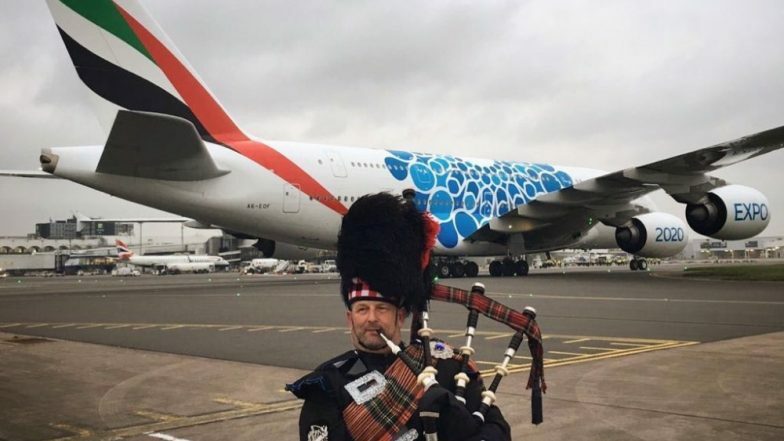 During the launch announcement, Mark Johnston, managing director of Glasgow Airport had said, "The decision by Emirates to introduce the A380 is not only a huge milestone for Glasgow Airport, it marks what is a first in the Scottish aviation industry. We have forged a valued relationship with Emirates since its inaugural flight in April 2004 and the introduction of Scotland's first-ever scheduled A380 service represents a major vote of confidence in the city."